Most doctors recommend that we get at least eight hours of sleep each and every night, which means a third of our lives should be spent asleep. With this recommendation in mind, someone who gets eight hours of sleep a night and lives to be seventy-five will have asleep for twenty-five of their years on earth. This figure may seem large, but the recommendation is wise for many reasons. There are dozens of ways sleep helps us. Getting a good night’s sleep consistently protects our mental health, promotes our physical health, improves our quality of life, and helps to keep us safe. If you are someone in recovery from addiction, these benefits can greatly help you overcome obstacles on your path to health and help to ensure your long-term success. Unfortunately, many people in recovery encounter difficulties sleeping after first quitting drugs and alcohol. This can be frustrating, but there are many things that be done and simple changes that can be made to ensure you are getting the sleep you need to support your recovery efforts. The benefits of getting proper amounts and quality of sleep are vast and extremely numerous, and the dangers of not getting enough are conversely plentiful. Overall, individuals who get more sleep are healthier in general. In one study, researchers exposed a group of 153 people to the common cold, and those who reported sleeping less than seven hours a night were almost three times more likely to catch it. Another study found that people who regularly slept less than seven hours a night were seven and a half times more likely to be overweight, even when taking other factors such as level of physical activity, family history, and demographics into consideration. Lack of consistent, quality, or lengthy sleep can take a great toll on our bodies. People who get too little sleep over a long period of time are at higher risk for heart disease, kidney disease, high blood pressure, diabetes, and stroke. People who are experiencing tiredness in their daily lives may have trouble making clear decisions, solving problems, controlling their emotions and behavior, and coping with change. They may experience slower reaction time, may make more mistakes, and often take more time to finish even simple tasks. While we sleep, our brains form new pathways that help us pay attention, make decisions, and be creative, all of which allow us to learn better, and also help us stay safe while doing activities that require our full attention like driving. Furthermore, people who get enough quality sleep each night are happier. One review of several studies shows that sleep loss has an even stronger effect on mood than it does on our thinking or motor function. A study in Israel found that sleep deprivation can amplify negative emotions caused by small things; individuals who got more sleep were less likely to be irritable or emotionally volatile than their sleepy counterparts. Another study reported that people who don’t get enough sleep tend to have more symptoms of depression and anxiety, and lower self-esteem All of these things – lack of patience, stress, and anxiousness – can be detrimental obstacles to people on the road to recovery. All of the things mentioned above can apply to all people, but the negative effects may have an even greater effect on individuals in recovery. On the other hand, all of the positive benefits from getting enough quality sleep can be extremely helpful for people who are trying to live a healthy life free from alcohol and drugs. More frequent instances of illness, higher levels of stress, slower cognition, limited evaluation of risks, and strained relationships due to irritability or impatience are all things that can quickly lead you into a situation where slips or relapses could be more likely. Sleeping well, though, can give a recovering addict great strength and clarity, both of which can help him or her continue on a positive path. 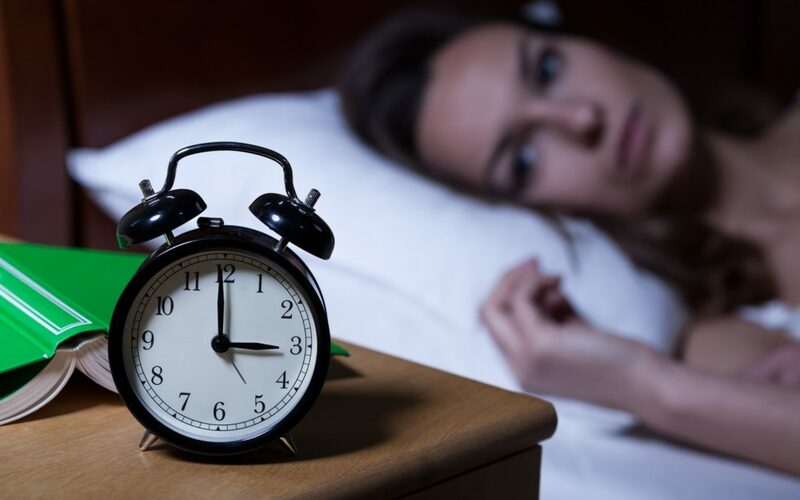 Unfortunately, a study in the Journal of Addiction Medicine found that people who are in recovery are five times more likely to suffer from insomnia. Many people report a wide variety of sleep issues early on in their recovery, such as difficulty falling asleep, problems staying asleep, and dreams and nightmares – including dreams about alcohol and drug intoxication in particular. Perhaps you experience racing thoughts when trying to fall asleep, or find yourself thinking about the mistakes of the past or the challenges of the future. This can leave you awake at night, tired during the day, or sleeping too much when you do finally manage to fall asleep. It’s likely that during your active addiction, your sleep was varied and, in many cases, unnatural. Now that you are no longer using drugs and alcohol, your body needs time to reestablish regular sleep cycles unaffected by these substances. Most sleep problems in early recovery tend to resolve themselves without medical treatment, but if these issues persist for a long time, it’s best to seek help from a medical professional. However, it’s good to be aware of the fact that sleep requirements may take weeks or even months to stabilize and return to what’s normal for you and your body once you have quit using. Not getting enough sleep or not sleeping well can be very frustrating for anyone, and especially for someone who has enough on his or her plate already regarding the journey of recovery. Thankfully, there are a lot of things you can do to help alleviate sleep issues on your own. First of all, creating and sticking to a sleep schedule can help immensely; being on a regular schedule will help your body know when it is time to sleep, and help you to go to sleep and wake up at the same times daily. Create a comfortable, quiet, stable environment in your bedroom. If you have a television in your room now, consider removing it, so your mind and body associate that space with sleep and sleep only. Eliminate light and sound from the room as much as possible. Before going to bed, try to avoid eating too much so you will be comfortable, and cut out all caffeine for several hours before bedtime. Try not to nap during the daytime; choosing exercise instead can also help you get a good night’s sleep later on. Participating in activities like yoga and meditation can also assist with more easy and restful sleep. Lastly, if you find that you are unable to fall asleep within the first twenty to thirty minutes of getting into bed, doctors suggest that it is better to get up, drink a warm beverage, and do something relaxing like reading for a bit before trying again, rather than just lying there frustrated. Although it may be tempting to take prescription or over-the-counter sleep aids, this is probably not wise for someone in recovery, especially without a doctor’s supervision. If you have tried all of the other suggestions above to no avail, do not hesitate to contact your physician. Your doctor may ask you to keep a sleep diary so he or she can monitor and assess your sleep patterns, or you may be referred to a sleep center for a sleep study at a sleep lab to evaluate your issues further. Since many drugs commonly prescribed for sleep, such as benzodiazepines, can be highly addictive, they are not right for you. Your doctor may instead prescribe Ramelteon or Doxepin, the only two unscheduled prescription medications approved by the FDA for the treatment of insomnia, because they have no known abuse potential. Or, he or she may suggest melatonin, an over-the-counter hormone supplement that enhances the body’s natural sleep-wake cycles – but again, be sure to consult your doctor before trying this on your own. Having trouble sleeping or not getting enough restful sleep can be detrimental to your mental and physical health and can effect your quality of life immensely. These challenges can be even more frustrating while working on your recovery from addiction. However, understanding that these difficulties are common for both those in recovery and those who are not can be comforting. Then, taking steps to improve your sleep is essential in helping you get the amount and quality of sleep you need; then, you can continue moving forward successfully on your recovery journey. If you’d like to learn more information on Clear Sky Recovery or Ibogaine detox, don’t hesitate to contact us.